Call us (262) 835-4401 or email solutions@hribarlogistics.com. Hribar Logistics has built a strong reputation over the years through innovation, commitment, and team work. 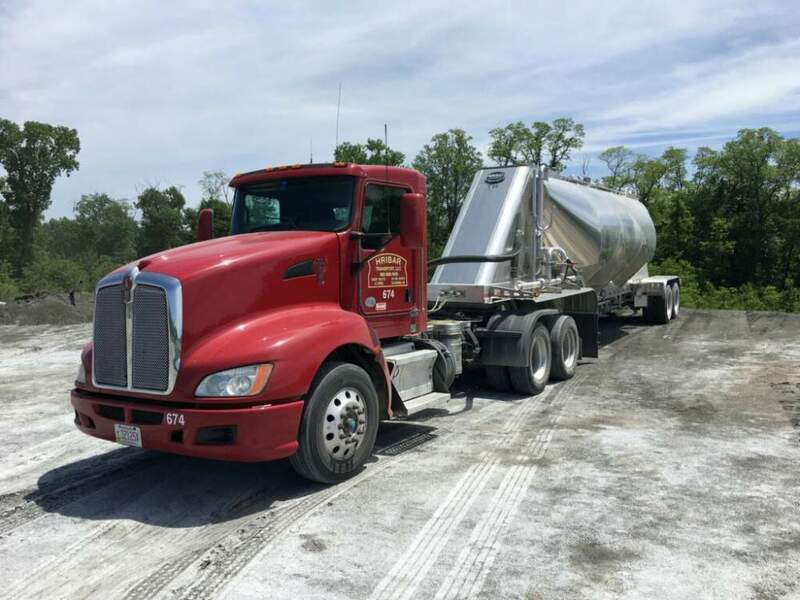 We strive to develop strong partnerships in providing and transporting bulk and aggregate materials as well as various other trucking services. Hribar Logistics is a full-service transportation provider operating in the 48 contiguous states and Canada. We provide local, over the road, and nationwide transportation services with a variety of equipment to meet your needs. Professionalism and courtesy are cornerstones of our culture. As a devoted partner, we strive to conduct ourselves as though we are your own private carrier. We engrain these values into every one of our team members in order to provide you with the best service possible. We know that our partners value dependability above all else. We have invested in software and hardware systems to provide timely and accurate dispatch and billing of your loads, as well as real-time tracking to ensure timely deliveries and on-demand status updates. We have a proven track record of meeting the ever-changing needs of our partners. The composition of our drivers ensures availability at all times in all situations. We strive to meet all new challenges to grow and diversify, moving us all forward. We are always looking for new ways to improve the efficiency, timeliness, and accuracy of our services. We have invested in several different types of equipment, including innovations of our own, and are quick to diversify to meet the needs of our customers. Hribar Logistics was built on hard work and dedication, and we are committed to the goals and values that have driven the company for over half a century. We consider every day an opportunity to meet and exceed the needs and expectations of our customers. We have a large fleet of trucks, specialized hauling equipment, and an experienced team of professionals ready to serve you. 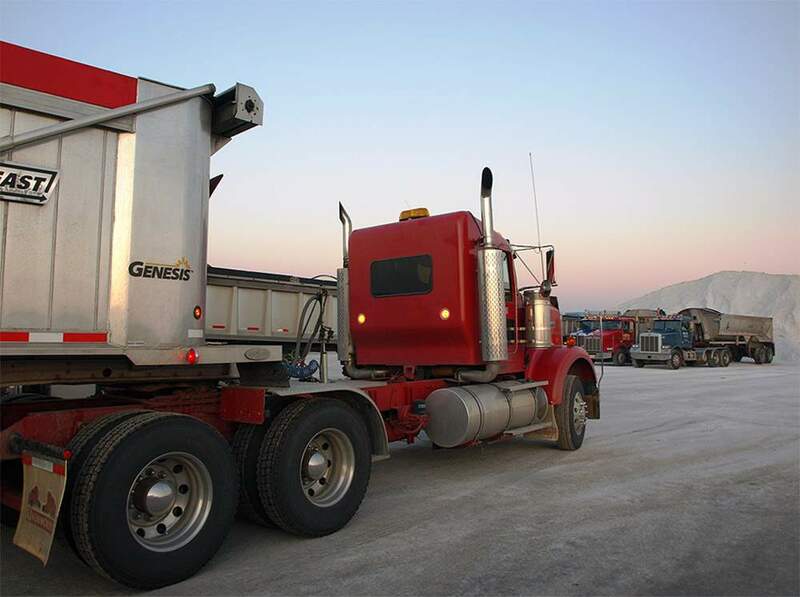 We transport bulk and aggregate materials such as building products, food products, and non-hazardous chemical products. For easy and efficient unloading, we use 1,040 cu ft and 1,500 cu ft pneumatic tank trailers. 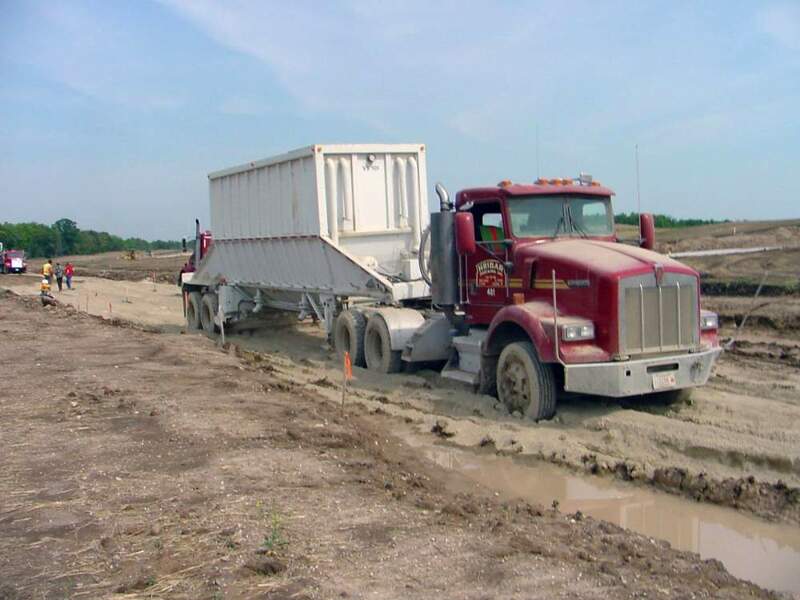 For transporting some materials such as aggregates, salt, or scrap, we use a variety of dump trucks and trailers. For local deliveries, we utilize quad axle dump trucks. 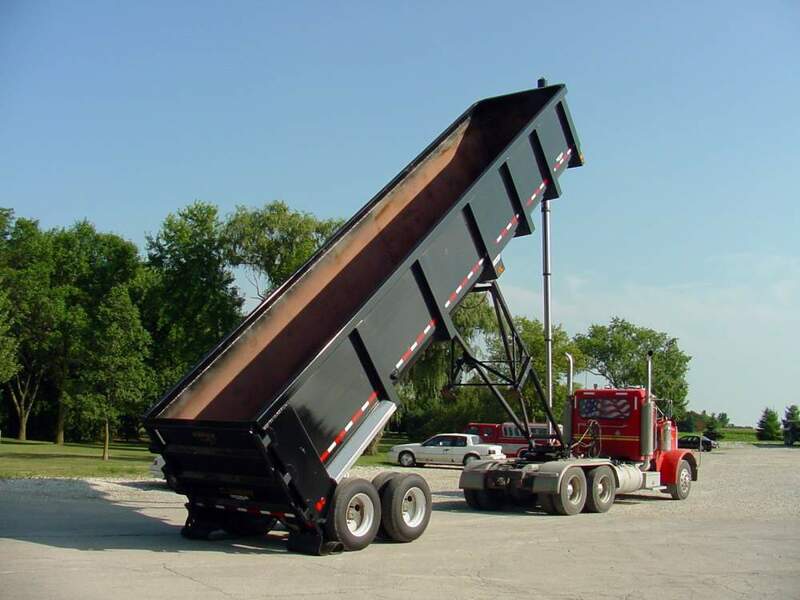 We also have 35-foot triaxle end dump trailers and 39 foot tandem end dump trailers, each uses aluminum to allow for transportation of larger loads. We utilize a fleet of versatile flatbed trailers to transport various types of loads including heavy equipment and oversized loads. 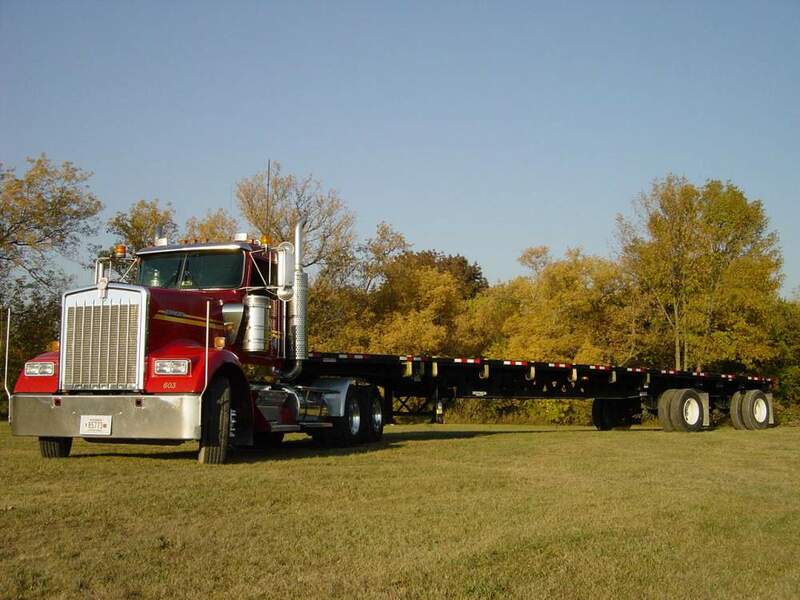 Our fleet of flatbed trailers includes lowboy trailers, Removable Goose Neck (RGN) trailers, and Conestoga trailers to meet your unique shipping needs. To cover your general-purpose full truck load (FTL) shipping needs, we also offer standard dry van shipping (enclosed box trailers) to handle a wide variety of products and materials. In order to better meet the needs of our customers, we also act as a direct provider of bulk and aggregate materials including sand, stone, gravel, salt, and landscaping materials. We're Hiring, Come Join Us! We have career opportunities for drivers looking for a place to call home, not just another job. Enjoy working for a well-established, stable, family-owned company. We consider each of our employees and Owner Operators as an important part of our family, and together we can all strive for a brighter future. Get started on the road to a better career, no matter where you are, with a convenient online application form. Over the past several decades, Hribar Logistics has built a strong reputation through the hard work and dedication of our team. Together, we will continue to succeed in achieving our goals and meeting the challenges ahead. © 2019 Hribar Logistics, LLC. All rights reserved. Website design by Visual Grace.